4 Tips for Choosing Sales Incentives to Take Your Team "to 11"
It is so exciting to be in daily conversations with companies of all sizes and verticals who have invested in the value and vision of Salesforce.com CRM platform. I love it. I live and breathe Salesforce every day, and the fascinating part about our business, and my role, is that I get to hear feedback from different lines of business on what the “perfect” incentives are to drive the right behaviors and habits inside of Salesforce. As many know, there’s so much more to all of this than just choosing a seemingly perfect incentive, though. Management must carefully hire and groom people who can rise to meet the goals of the business. Then they need to keep driving employee performance once those people are on board, to ensure that those organizations goals are met and that the business is growing. Employee incentive programs play a significant role in that whole “driving employee performance” part. The challenge comes in figuring out how to orchestrate the proper employee incentive programs that will produce the right types of behaviors. All types of employees react differently to various forms of incentives and are motivated and driven in various ways. Furthermore, to help pull off rockstar performances, management should produce incentive programs that work in harmony with both the short and long term needs of the business. A lot to think about, we know. Following are 4 critical tips to consider as you’re choosing incentives, and we’re hoping they’ll make the whole process just a little bit easier on you. If you’re shuffling through the same old employee incentives week in or month out, that isn’t much fun for you or your team, and it’ll get boring really fast. Consider switching between categories, or simply coming up with fresh ideas within any of these categories. 2. Don’t leave resources untapped. There are tons of incentive ideas out there. So, using “no time” as an excuse for not coming up with fresh incentives? It just doesn’t work. Do a quick Google search for incentive ideas and let the ideas you find get the brainstorming rolling. You can also check our Sales Incentive Ideas: The Smart, the Inexpensive and the Downright Awesome for advice on what to consider as you come up with your own incentive ideas. Every company has their stories about sales incentives that have failed to motivate their company. By having a clear understanding of your team’s desires and needs – along with your organization culture as a whole — you will have the ability to choose the right incentives to motivate employee performance. 4. Just give new ideas a shot. There’s only one way to find out if a new incentive idea will motivate your team: Try it out. You might be surprised at what you find works – especially when it comes to free, or inexpensive incentives. When you’re layering the incentive on top of something like competition & recognition, which is going to motivate your team anyway, you’re really only looking for a little added motivation through the incentive anyway. You’ve got nothing to lose. 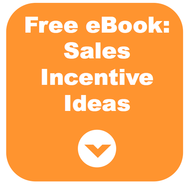 Choosing the right sales incentives to motivate a team can be challenging. On the one hand, they need to be exciting enough to motivate a sales force to change their behavior, or at least point it in a certain direction. On the other hand, they need to fit within an organization’s culture…and its budget. Consider these tips, and the challenge should get easier, as the incentives get more motivating. Brendan Hartt is an Account Executive at LevelEleven. Consider these 4 tips next time you're trying to figure out what kind of sales incentives will motivate your team.